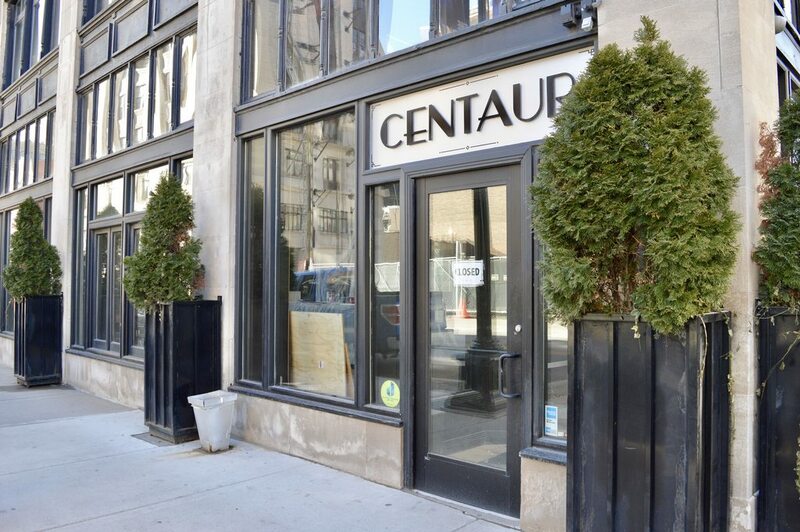 Town Pump is renovating the former Centaur space in preparation for the sale of the Park Avenue Hotel. 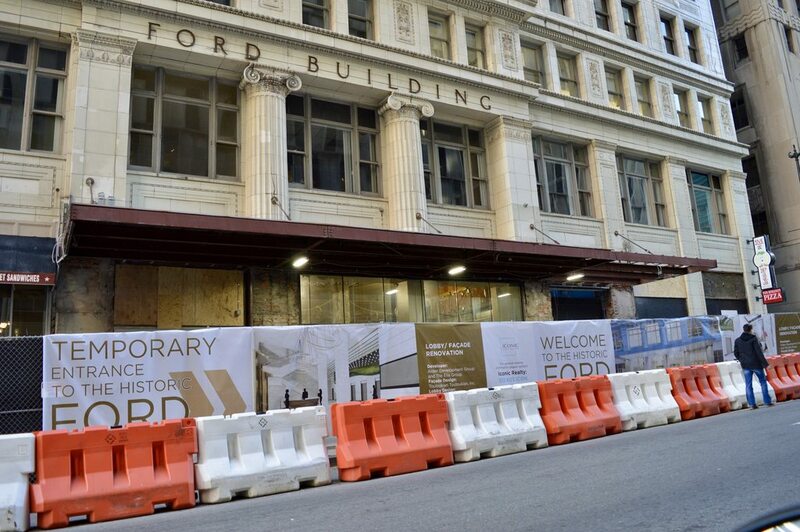 Renovations at the Marquette Building seem to have resumed following Adient's abandonment of the project. Visions Restaurant, 2458 Brush. This used to be a banquet center, but is now a full time restaurant as well. On a side note, can anyone recommend me a site similar to Flickr but with free unlimited uploads? Please send me a PM so we don't take this thread off topic. 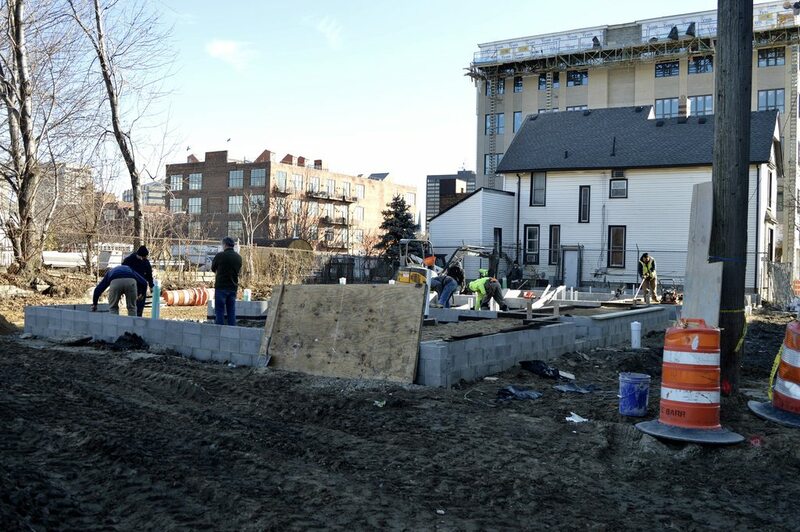 A big piece of Capitol Park will be completed in 2019. 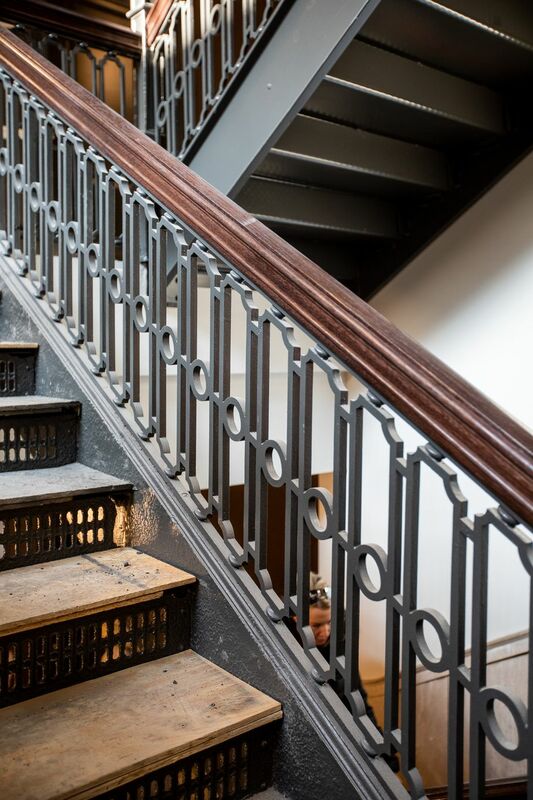 The historic Farwell Building has been undergoing a renovation over the past couple years. Curbed recently visited for a sneak preview into the architectural landmark. 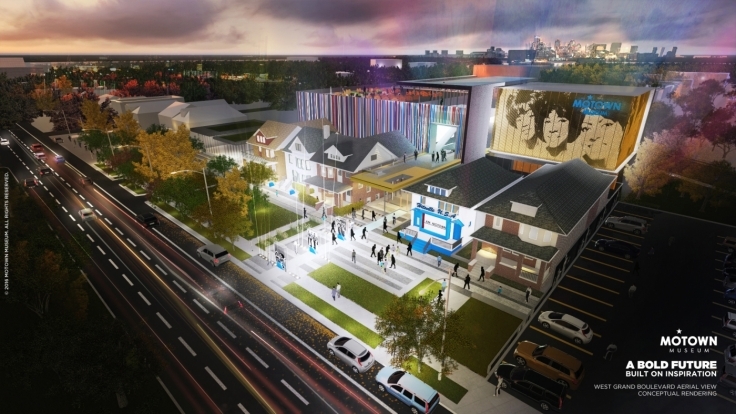 Motown Museum announced $2.28 million in year-end gifts to support its expansion. The nonprofit has seen substantial progress this year in its effort to grow the Detroit museum, board of trustees chair and CEO Robin Terry said in a news release. 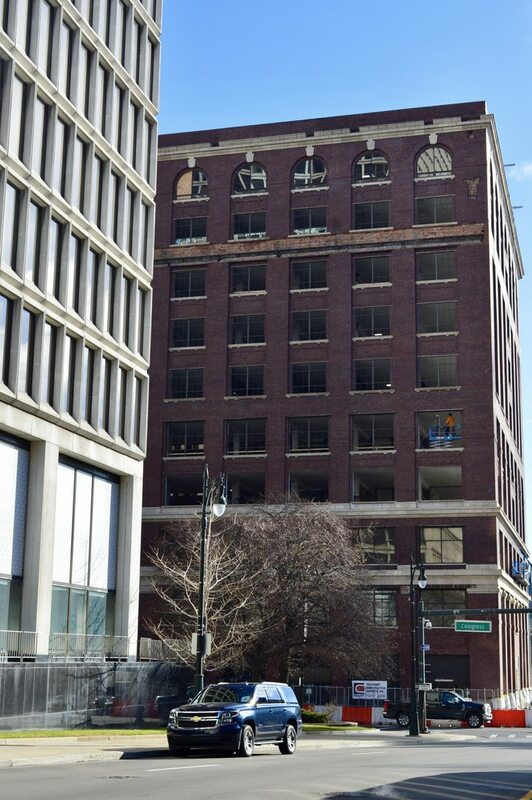 Dan Gilbert's Bedrock LLC has started demolition to clear the way for a new $533 million Wayne County criminal justice complex. 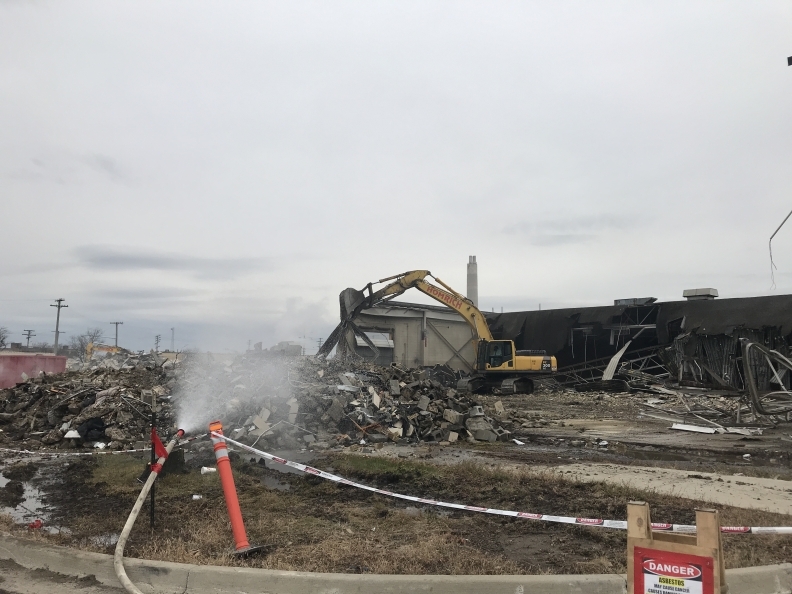 The demolition of a Detroit Department of Transportation paint shop and maintenance shop, which began last month, is set to be completed in the first quarter next year by Carleton-based demolition contractor Homrich Inc., said Jozef Guziewicz, Bedrock's vice president of construction. "Until summer time, there will be site prep and grading and getting rid of all the old electrical stuff that's been abandoned," he said Friday. 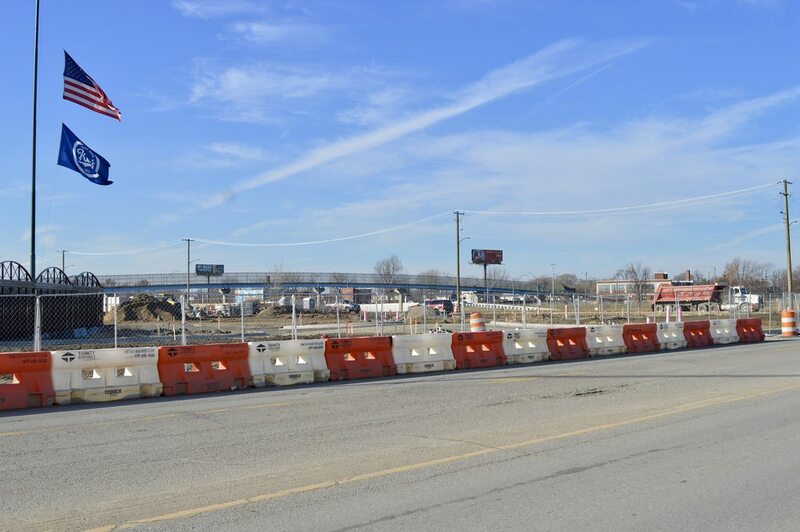 Construction is expected to be complete by the middle of 2022. 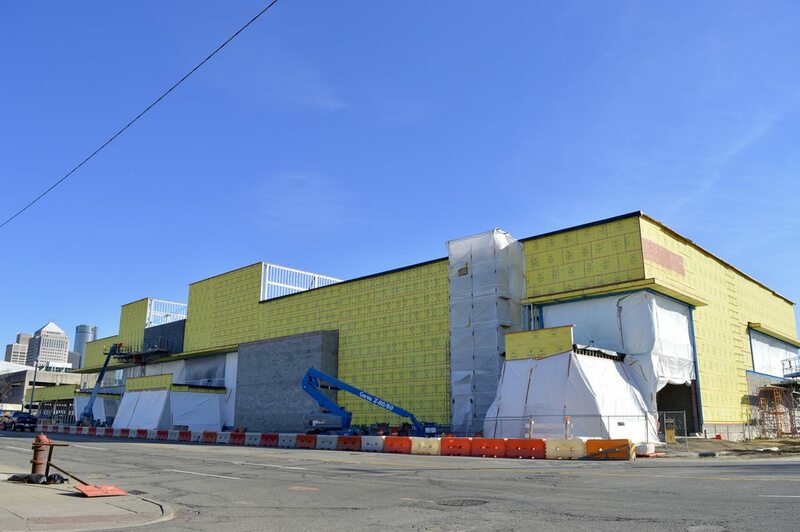 The county then has six months to move into its new criminal justice complex. 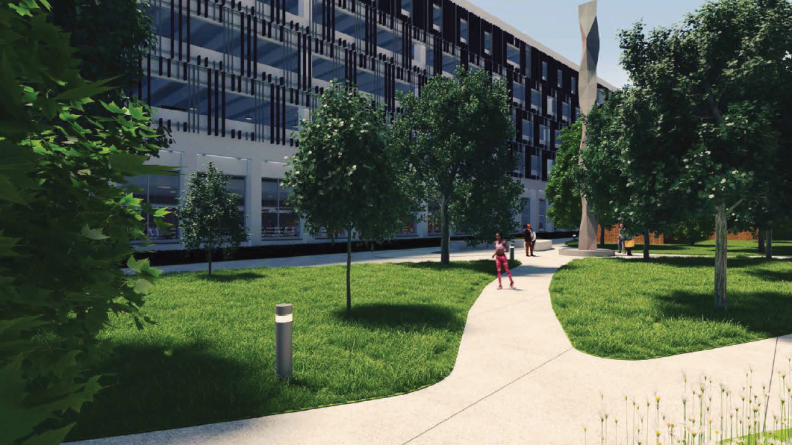 A new 580-space parking deck on a large development site has received a green light from the Detroit Historic District Commission as the city seriously considers a lease for about 100,000 square feet for several departments at the project site. 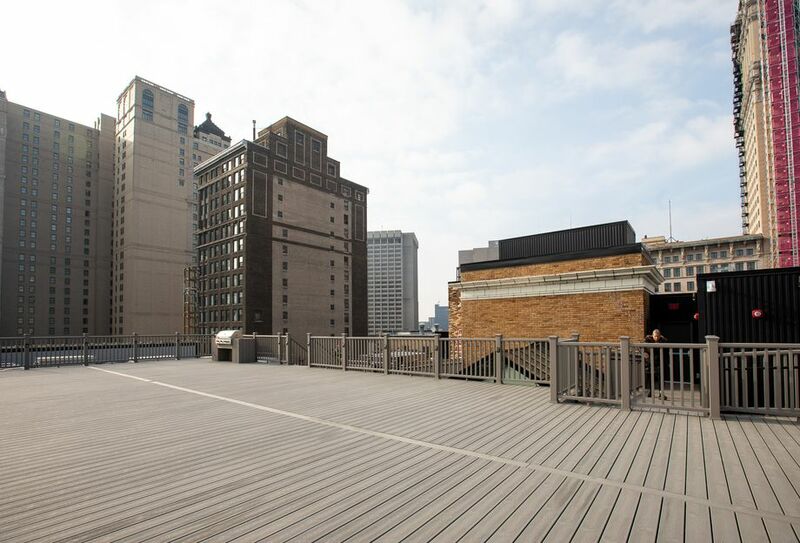 The deck, which would be part of the development generally referred to as South of Mack Avenue, would have six levels of above-grade parking but "visually appear" like a five-story deck, according to commission briefing documents. 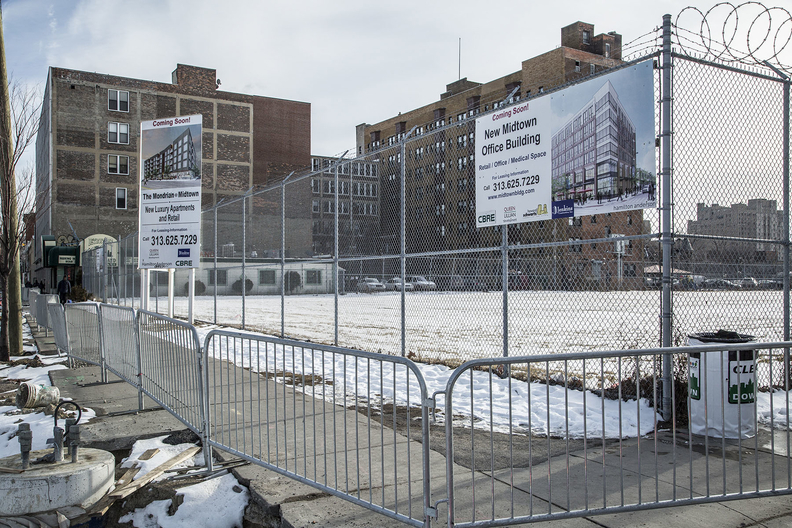 In addition, the city is mulling an office space and parking deal over 10 years for several departments, including parks, transportation, health, general services and Detroit Employment Solutions Corp., according to a source familiar with the matter. They would move into existing buildings on the SoMA site from other locations around the city. 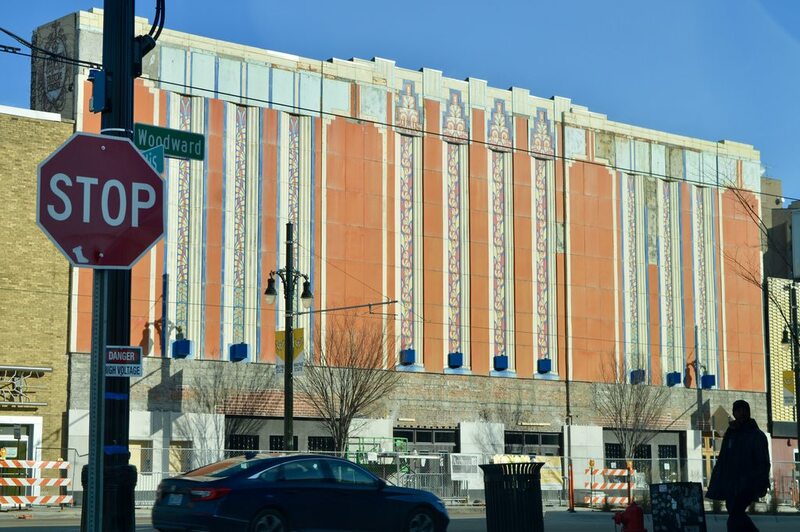 LCA has always been billed as more of a venue as opposed to just a sports stadium and while The District's glacial pace of development is frustrating at best this is a good measure of success for the project so far. Detroit lays claim that it's “home to the second largest theatre district in the United States behind only New York City" while that is debatable based on how you designate it. So LCA being the 3rd most attended venue in the U.S. isn't a surprise hopefully we will start to see more tangible progress in The District. Little Caesars Arena ended its first full year of operation as the sixth most-attended arena venue in the world. Concert industry trade magazine Pollstar publishes an annual worldwide arena ranking based on ticketed events (excluding pro sports team games). 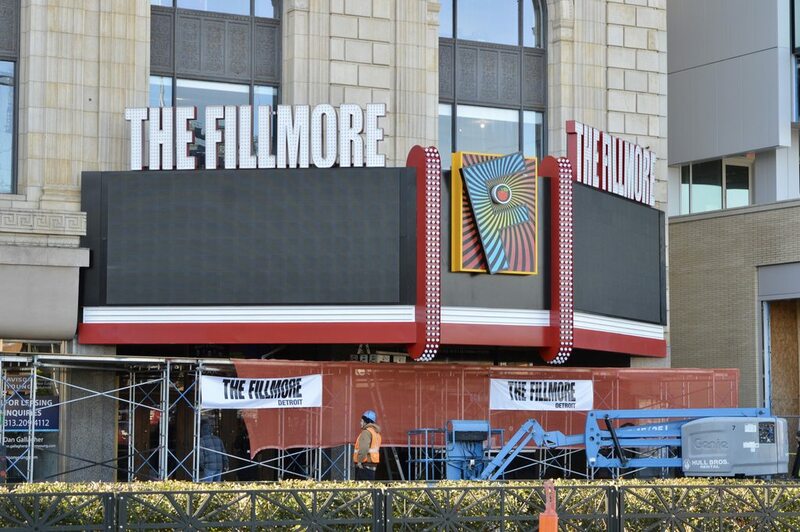 The recently built venue just north of downtown Detroit along Woodward Avenue ranked third in the U.S. with 845,651 concert ticket sales, according to Pollstar. It came in behind Madison Square Garden Arena in New York City (1.16 million tickets sold) and the Forum in Los Angeles (1.12 million sold). As for the global rankings, Little Caesars Arena came in behind Paris' AccorHotels Arena, which ranked fifth on Pollstar's list. Madison Square Garden was No. 1 worldwide, followed by the Forum and WiZink Center in Madrid. Van Andel Arena in Grand Rapids ranked 71st internationally with 260,700 ticket sales. That's up from 93rd last year with 206,573 tickets sold. Despite being open for less than four months in 2017, Little Caesars Arena ranked 83rd internationally for concert ticket sales last year. Emagine is still looking for sites. It was reported a few months ago that the choice is down to two unnamed locations. Detroit has continued to struggle following decades of decline aggravated by the last recession. The city’s population is almost 30% below what it was in 2000 and its poverty rate of 37.9% is one of the highest in the country, according to 2017 U.S. 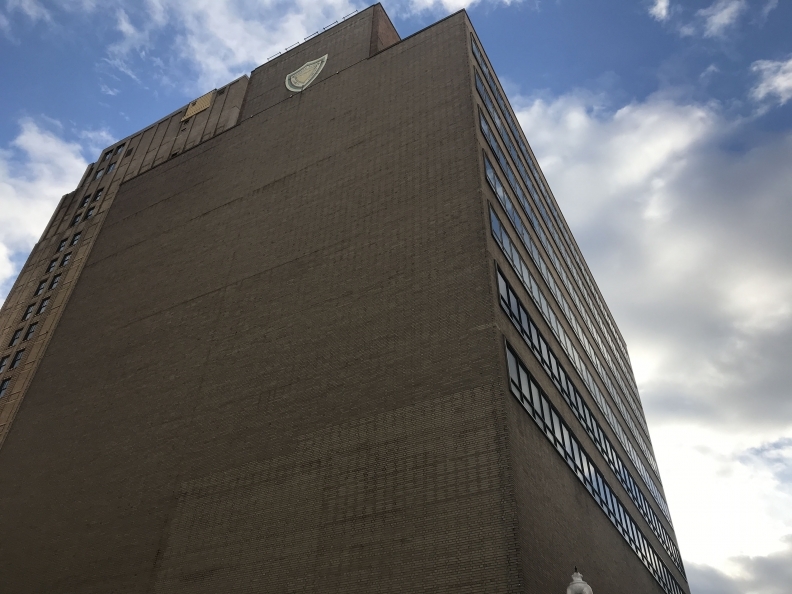 The Historic District Commission has approved demolition of a 68-year-old building on West Elizabeth Street to make way for Chemical Bank's new downtown Detroit headquarters high-rise. 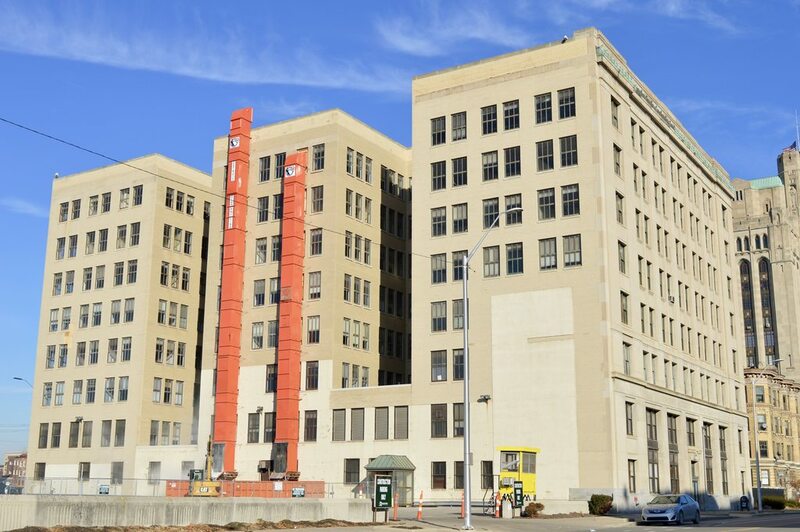 The commission approved the demolition of the 1950 building used most recently as the Elizabeth Street annex of the Grand Park Centre office tower across Grand Circus Park on Dec. In mid-2012, Andrew Wallace and his son, Nathaniel, bought a two-bedroom condominium in Detroit's then-gritty and desolate Brush Park for $90,000. 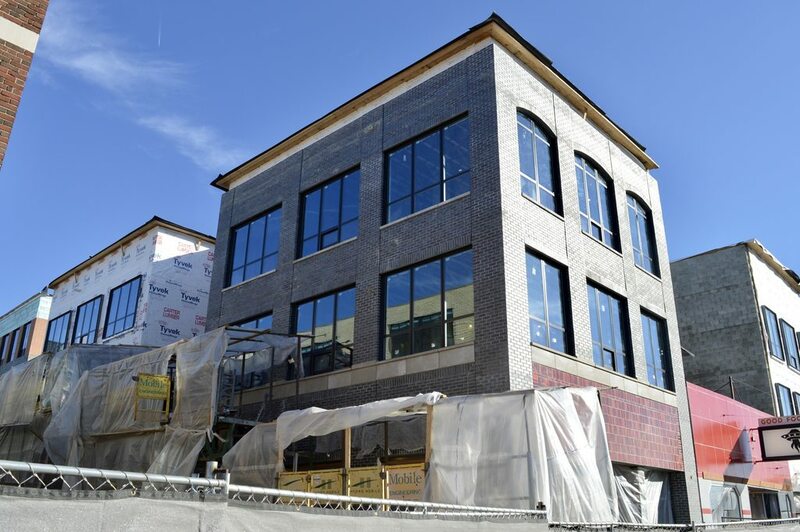 The Wallaces, who own a small IT business in Troy, did roughly $200,000 in renovations and then watched as Brush Park evolved from an area that was largely avoided into the city's Next Hot Neighborhood. This October, they sold the 4,400-square-foot condo to an out-of-state buyer. The sale price: $1.25 million. "It was surreal," Nathaniel Wallace, who lives in Detroit, recalled last week. "We knew we had something on our hands. I didn't think it would be over $1 million." How high are they going up with this? I think the plan has always been to fill in that area up to the existing height. Can't afford a ticket to Hawaii this summer? The owners of Detroit's Pedal Pubs and Detroit Cycle Boat are bringing a taste of Hawaii to metro Detroit with charter tiki boats along the Detroit River. Aloha Tiki Tours will run from May 25 through Sept. 30 and offer two-hour tiki boat tours in Detroit and St. Clair Shores. Four tiki boats will launch from Sinbads Marina in Detroit and two from Blossom Heath Marina in St. Clair Shores. The boats have 30 horsepower motors and can hold six passengers plus a captain. The two-hour tours are $300 on Friday through Sunday and $250 Monday through Thursday. 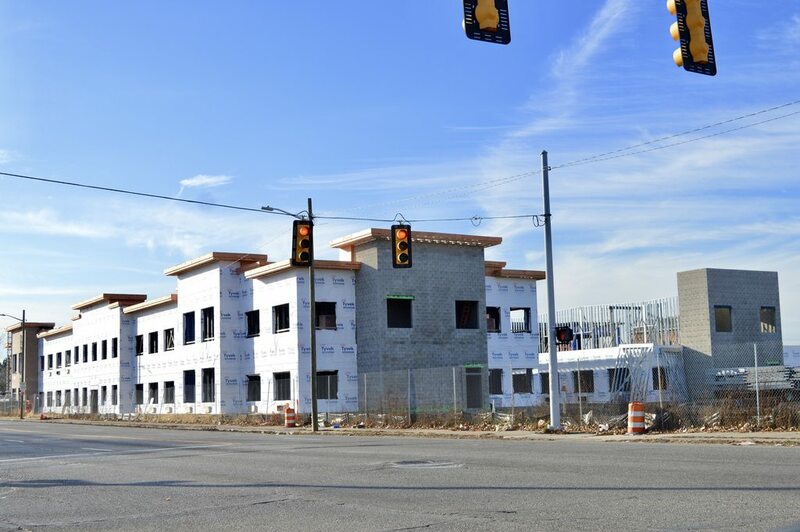 The Biggby we had previously reported was coming to 18685 Livernois is now open. The same folks own it as the location in Ferndale at Livernois and 9 Mile. If you’ve been to a Biggby, you know what’s in this store. This is similar to the ones I’ve been to in the past. Lots of coffee drinks like lattes and freezes. Light food options, all of that. The location seemed to be doing steady business during the two hours I watched. Detroit — Inside a Queen Anne-style home on Cass, Wayne State University founder David Mackenzie would entertain guests in his oak-paneled library, wowing them with his fluency in several languages and his ability to read and write Sanskrit. More than 90 years after Mackenzie’s death, his 1895 home still stands, but in a matter of weeks, it’ll have a new address as university officials begin the arduous process of moving the house. 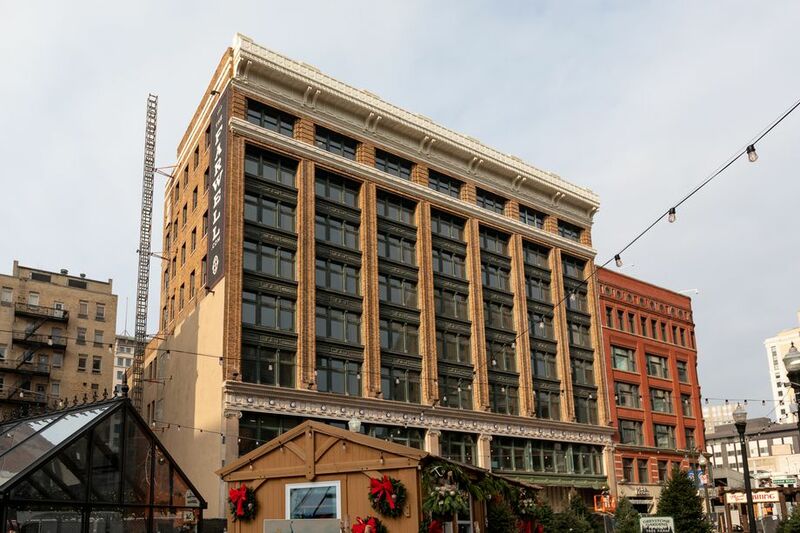 To move the house around the block to Second and Forest, Wayne State has hired International Chimney for the move, the same New York-based firm that helped move the Gem Theatre in 1997. 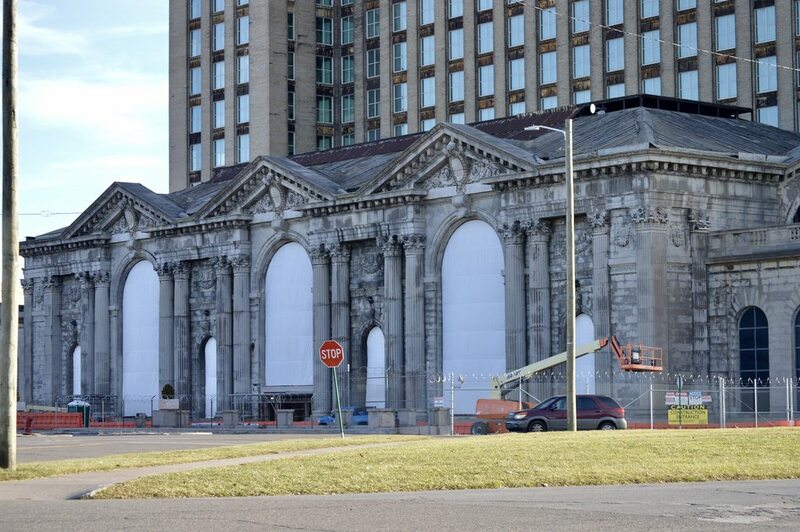 Detroit — Dan Gilbert's Bedrock has purchased a warehouse in the shadow of the former Michigan Central Station that Ford Motor Co. is overhauling as its future center for automotive mobility. 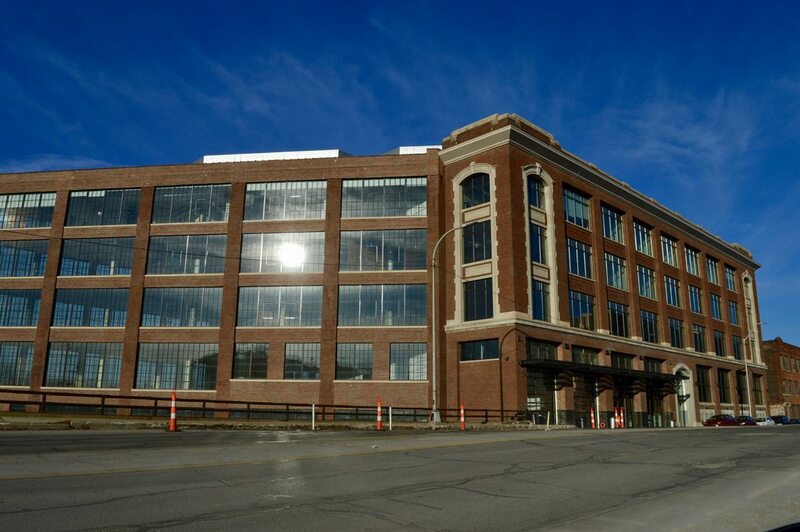 The five-story, 138,000-square-foot building at 1800 18th St. is west of the former train station just past the train viaduct on Vernor Highway. 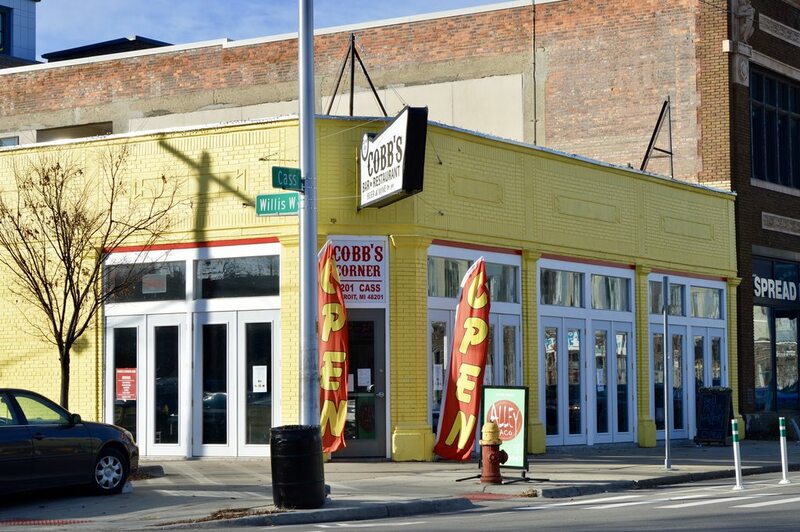 That makes this purchase Bedrock's first foray in the area of southwest Detroit often called Mexicantown. The viaduct is often considered the dividing line between the Corktown and Mexicantown neighborhoods. 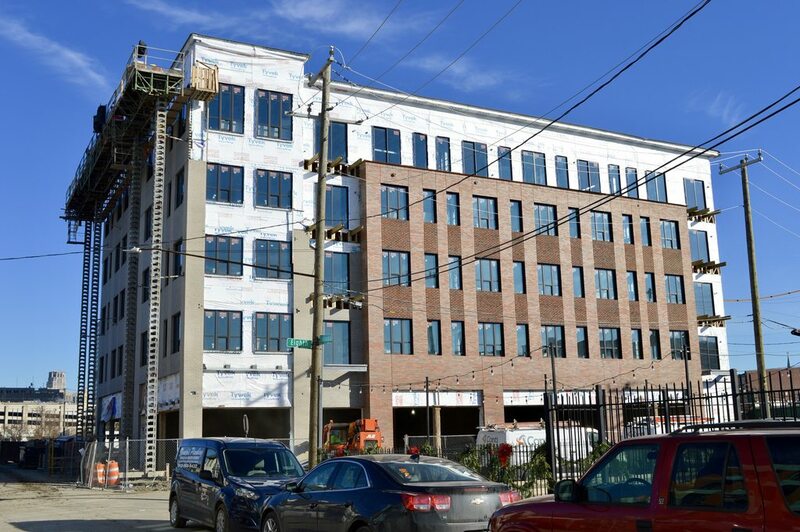 Even more specific, the stretch of 18th Street where the warehouse is located is also part of the Hubbard-Richard historic district within the Mexicantown area. 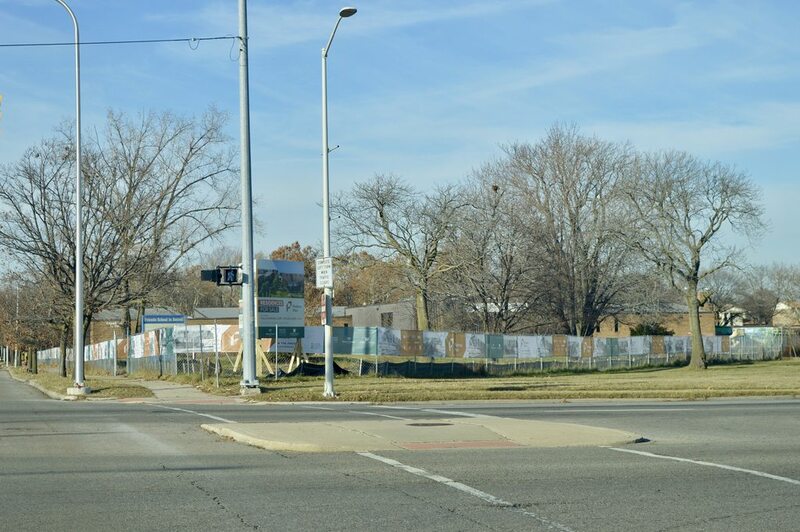 Henry Ford Health System is creating an art-focused community center out of a vacant building near its Detroit hospital. 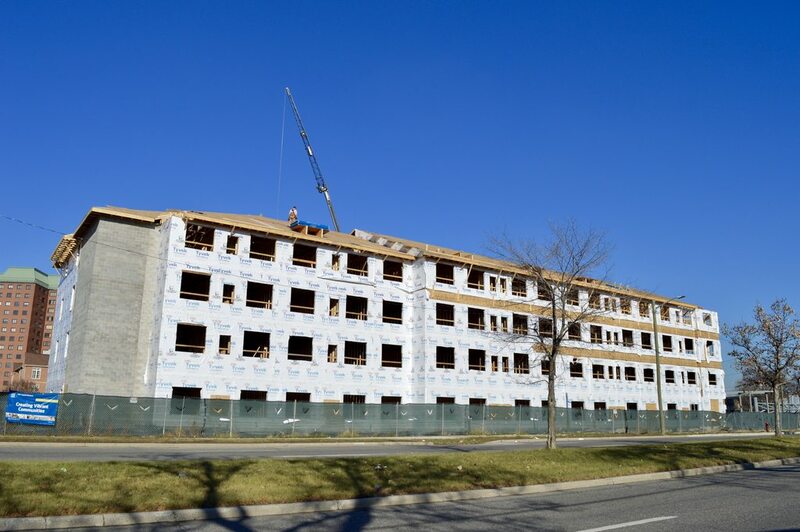 A $200,000 youth and family grant from the West Bloomfield-based Vera and Joseph Dresner Foundation is funding the project, the health system announced Wednesday in a news release. 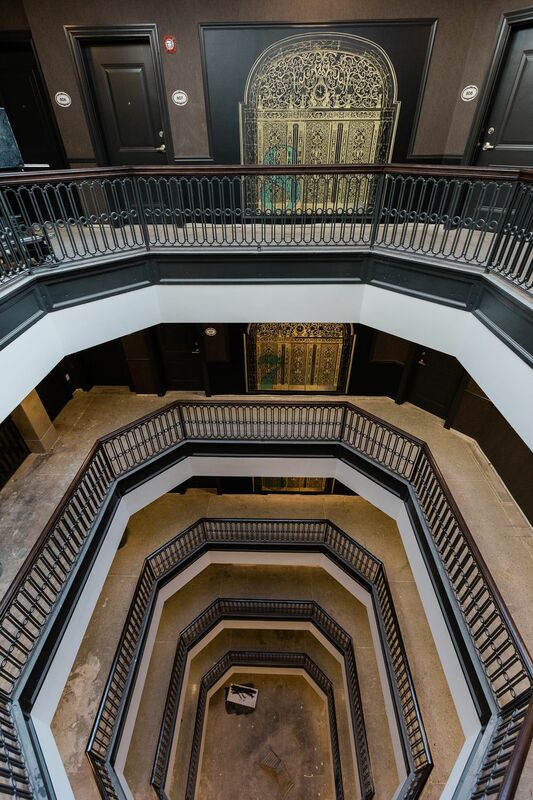 Called ArtBlock, the reactivated 3,700-square-foot property would be Henry Ford Health's biggest investment yet in public art and arts education, the release said. 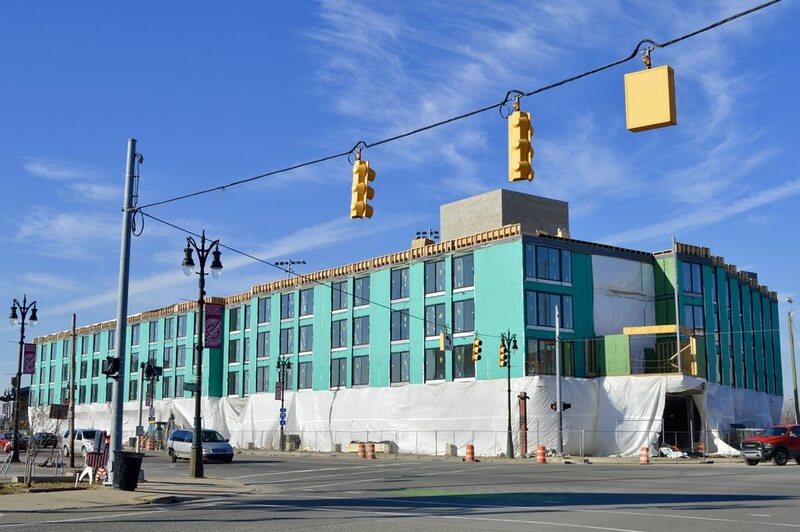 The health system plans to cover the building in Detroit's Northwest Goldberg neighborhood with murals and employ graffiti artists to decorate its interior. When open in May, it will host family activities and workshops. It will also feature a textile installation and rideable, animal-shaped metal sculptures. All three casinos in Detroit were lucky this past year, as Greektown, MGM Grand and Motor City reporting record-breaking revenue. The three casinos reported annual revenue of $1.44 billion, $20 million more than the previous record of $1.42 billion in 2011. 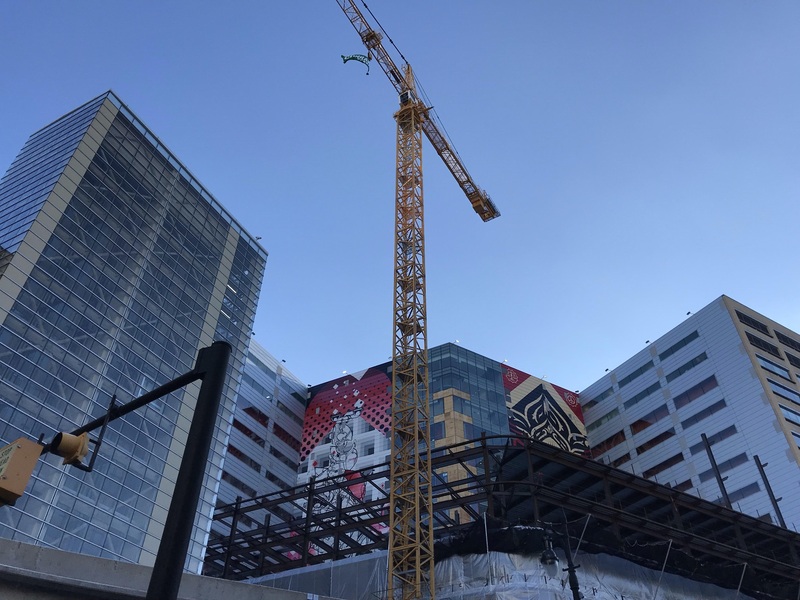 According to the Michigan Gaming Control Board, MGM Grand Detroit had total revenue of $619.2 million in 2018, with Motor City collecting $489.7 million and Greektown $335.2 million. Design Core Detroit recently hosted a design award to acknowledge the best in commerce design in the city. How can design help a neighborhood business and what makes one stand out from the rest? 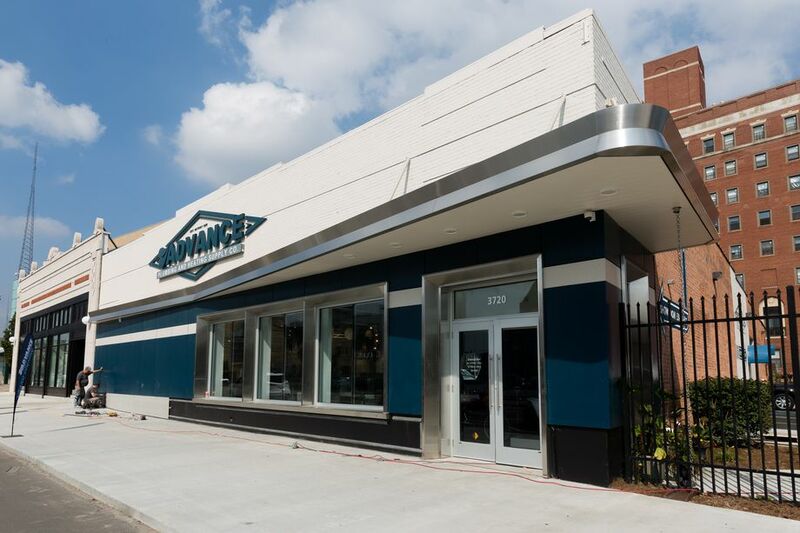 Advance Plumbing and Heating—a 100-year-old family business—won the People’s Choice for their new showroom in Midtown. Josh Moss, Vice President of Advance Plumbing and Heating, had the chance to discuss the showroom’s future and past. Detroit continues to change....for the better!! 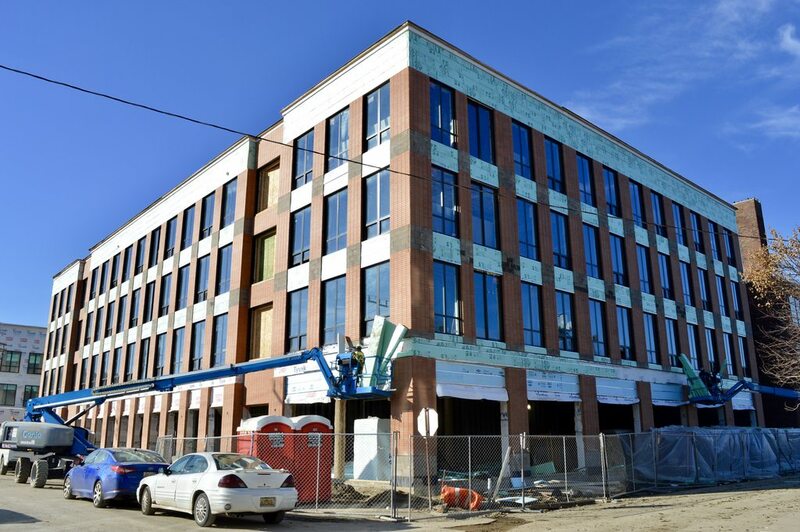 A drive by this morning confirms work is ramping up on the two structures adjacent LCA on Henry St. Both are apart of the larger phase 2 District Detroit and were announced to be office space instead of the originally planned residential. Had conversation with sales rep from The Platform group. 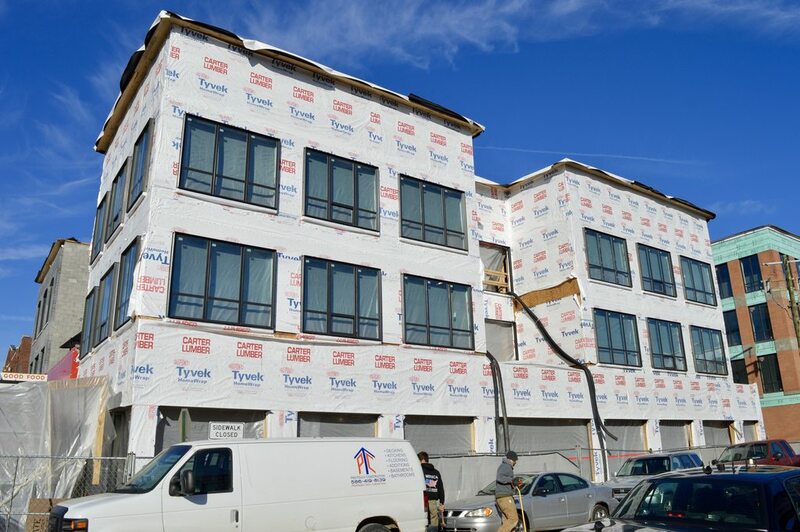 The large and very expensive Cass & York condominiums at 5935 Cass Ave will break ground in March! MDOT bought the United Sound Systems Recording Studios at 5840 Second Ave. in Midtown and its adjacent parking lot Dec. 14 for $1.7 million. 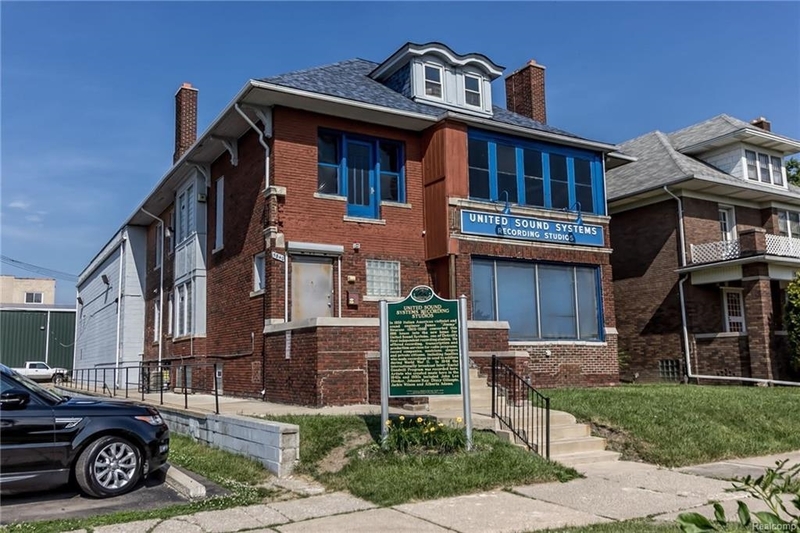 It plans to sell the historic building at public auction after moving it slightly north onto the parking lot, away from the retaining walls expected to be built for the I-94 modernization project. The department hasn't yet determined a cost or timeline for the move, spokesman Rob Morosi said. 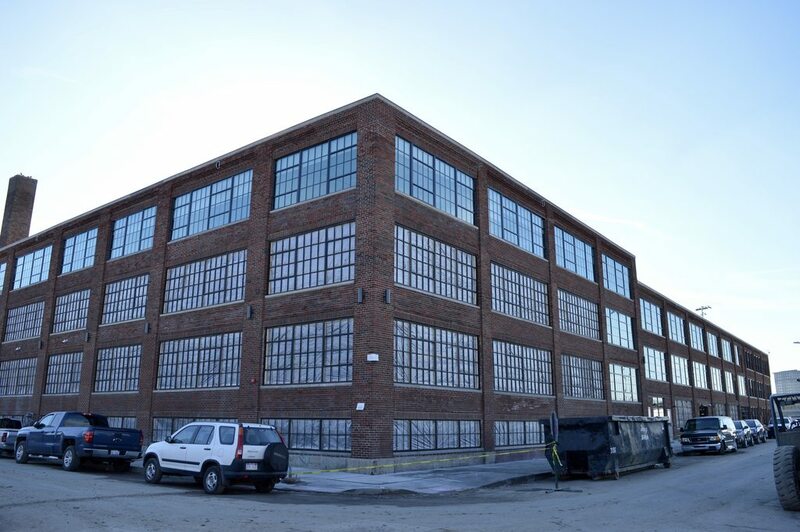 The building was listed for sale for $1.5 million in June this year, Curbed Detroit reported. 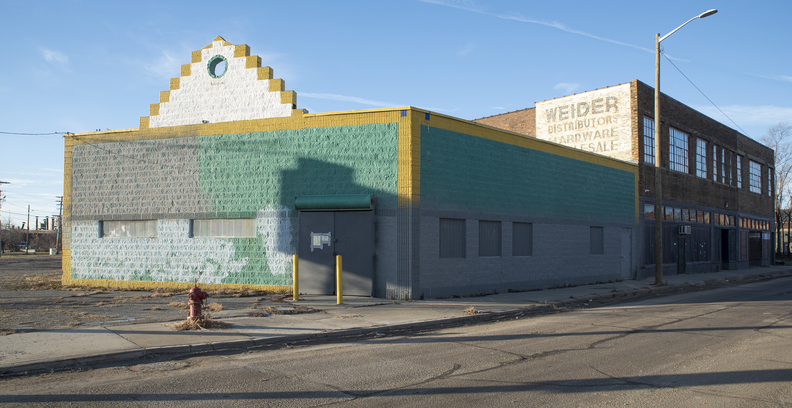 United Sound, Detroit's first major independent recording studio, has been jeopardized by impending I-94 highway widening over the years. 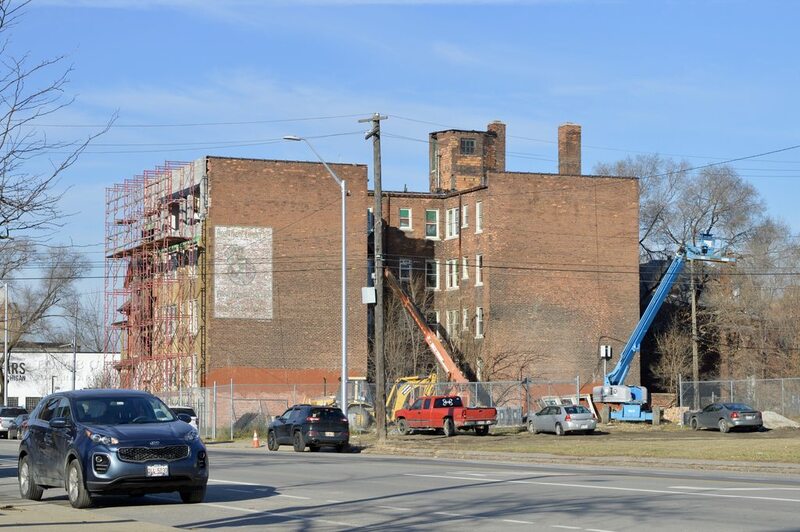 Detroit City Council designated it a historic district in 2015, but from 2005 until around then, demolition was a major possibility. 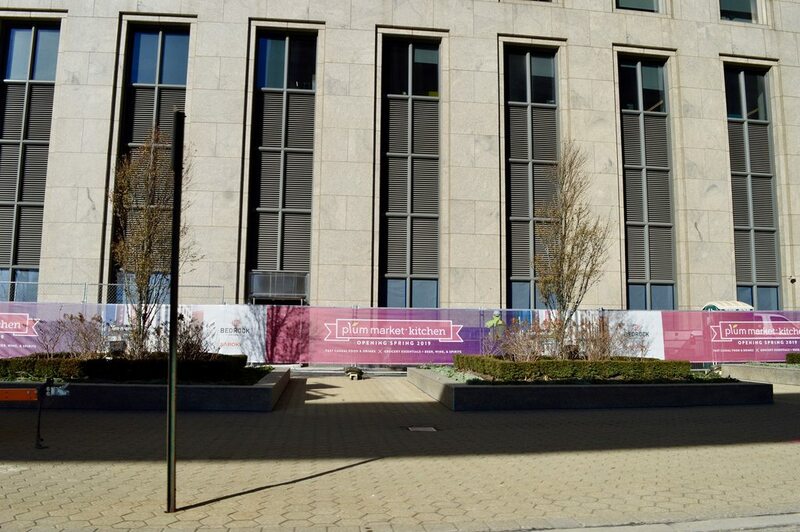 Noticed today that Shapero Hall is entirely gone. There's just some brick walling and piles of debris left on the site. I can't wait for Lafayette West to begin construction. 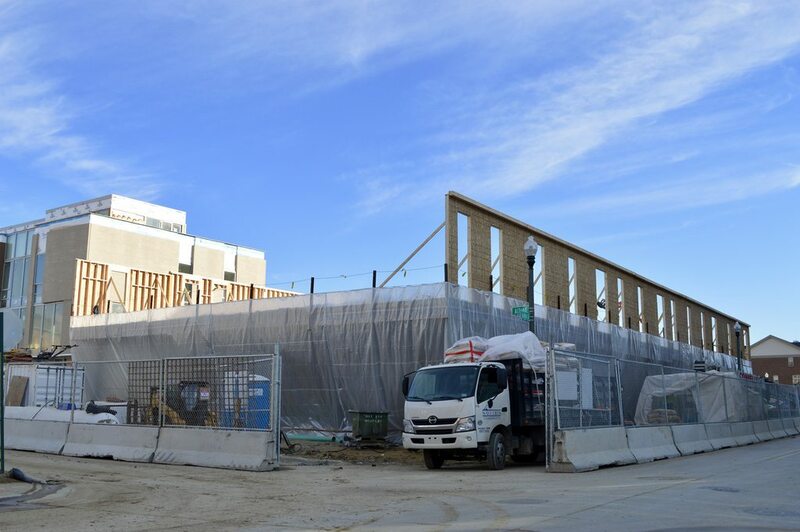 The city is now undertaking a comprehensive review of delayed development projects awarded through the request for proposals process or using publicly owned property to try to get shovels in the ground on them if construction has not already started in the next 3-6 months. "I'm trying to make sure that people are working in good faith and that they are having progress," said Arthur Jemison, the city's chief of services and infrastructure. "If they are working in good faith and making progress, we are trying to figure out how to help them get over the finish line." PricewaterhouseCoopers LLP is adding 125 information-technology workers over three years to its downtown Detroit office for a new internal cybersecurity team the global accounting firm began building last year. PwC chose Detroit for a new Network Information Security office and Security Operations Center because of the region's lower cost of living, access to IT talent and its geographic location in the Eastern Time Zone, said Ray Telang, managing partner of PricewaterhouseCoopers LLP's Michigan operations. 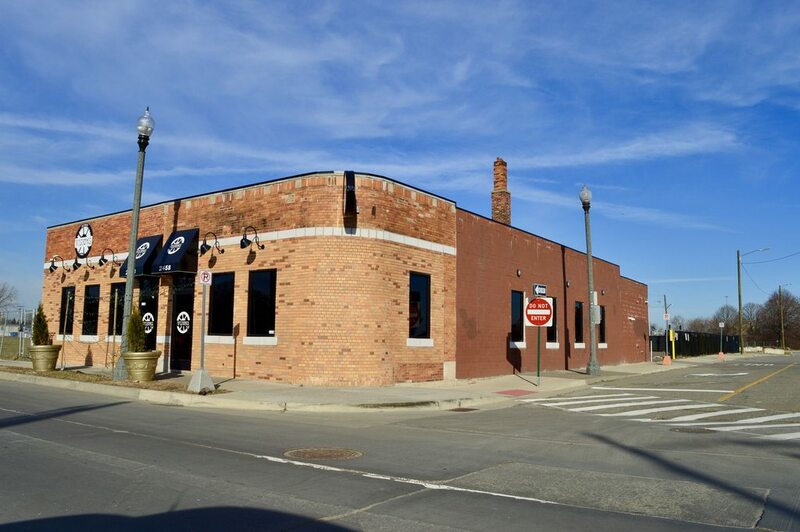 The folks behind tequila bar Toma Detroit, set to open to Detroit's Corktown, have a new tequila-infused project brewing in Mexicantown. Peso, billed as a fast-paced Mexican eatery, is scheduled to open in March, offering quick bites including tortas, Mexican sandwiches and burritos. 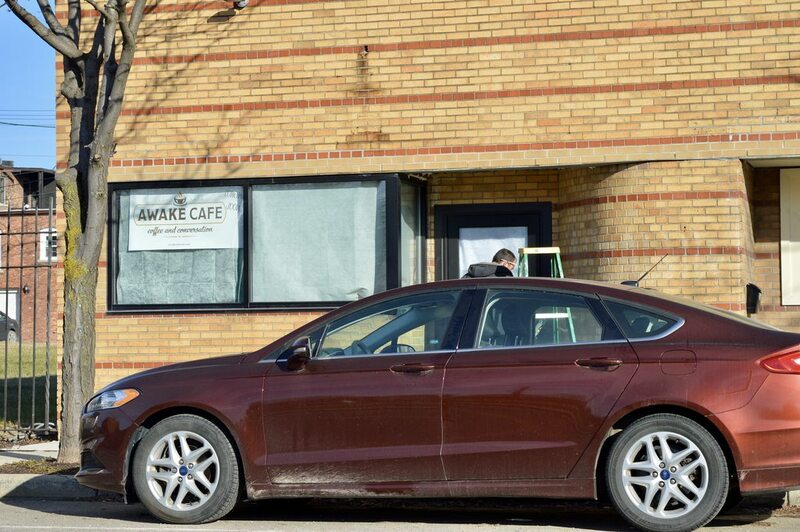 The restaurant at 2547 Bagley Ave. will also have special weekend menus that will include three different soups and comfort-style Mexican food. 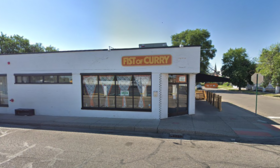 The restaurant will sit in the space formerly home to Fist of Curry, which closed its doors in July. 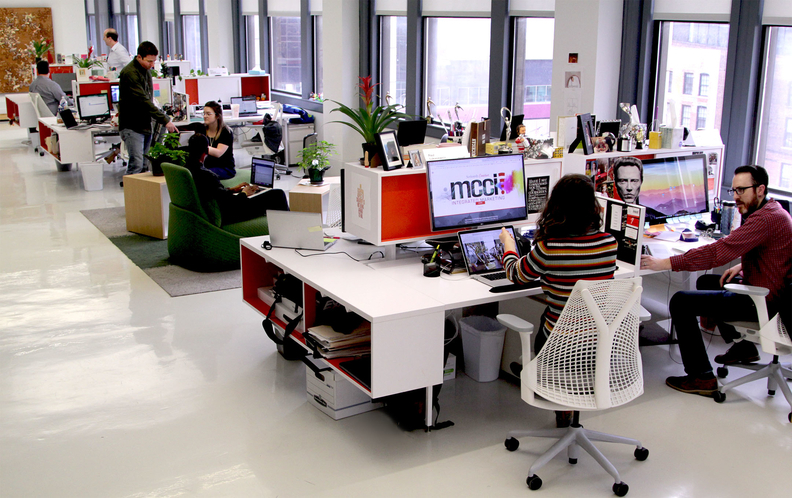 Mort Crim Communications Inc. is adding talent and redoubling efforts to integrate services after settling into its Detroit base and plotting more growth. The marketing agency has made a half-dozen new hires heading into the new year after adding clients and predicting record annual revenue. 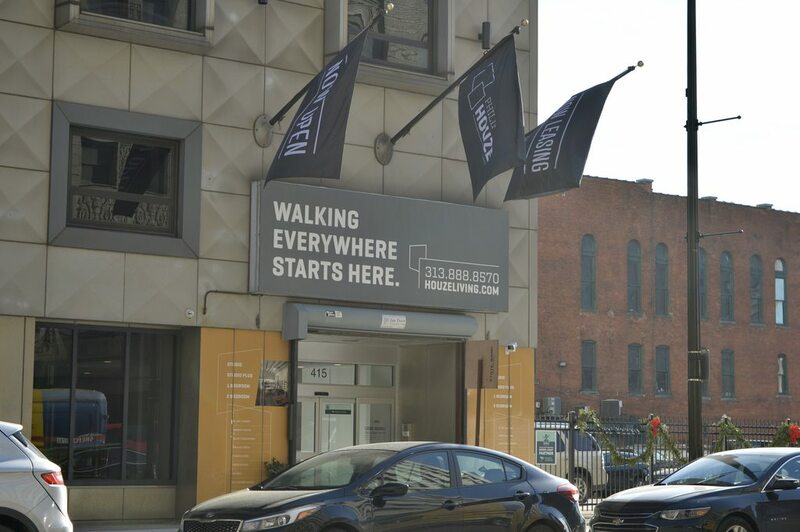 Since moving from Southfield to its downtown Detroit office, the company has retooled its approach and amassed new customers. Talent acquisition has been at the foundation, company President and CEO Terry Oprea said.